Sleeping at night is obviously a necessity. It gives our body a chance to rest, recover and refuel for the next day. While it is true that most of the body does rest overnight, some parts of the body keep going for some individuals. If teeth grinding in your sleep is an issue that you’re dealing with, our team at All Season Dental is here to stress the importance of utilizing a night guard. Over time, teeth grinding can cause damage to your jaw, so it’s vitally important that you are proactive in stopping the grinding and clenching so that you can maintain a beautiful smile for decades to come! By wearing a night guard at night, you’re incorporating an extra layer of protection within your mouth, which will protect your jaw joints. The damaging stress as well as the extra wear and breakdown that occurs to your jaw joints when grinding your teeth can be prevented by wearing a night guard. Sure, the clenching and grinding may occur some during the day, but the majority of teeth grinding occurs during the night. At All Season Dental, we’re committed to providing a custom fit night guard that can go on both the upper or lower teeth. In turn, your teeth will be protected all night so that you can ensure you’re not causing irreparable damage to your mouth while you sleep. Bruxism is the medical condition where grinding and clenching your teeth occurs. Studies have shown that approximately 8% of our population suffers from this medical condition. Most people have no idea that they grind their teeth during the night or when they are stressed. Your spouse or roommate may be the one to let you know that you grind your teeth at night because they may hear it while you’re sleeping. Additionally, our team at All Season Dental can tell whether or not you suffer from bruxism during a standard dental evaluation. If you do suffer from bruxism, choosing to wear a night guard at night will quickly reduce your grinding and clenching symptoms. The enamel of your teeth is what protects the nerves and blood vessels within your teeth. Unidentified bruxism over time can cause your enamel to breakdown, which in turn exposes the nerves and blood vessels of your teeth. This not only breaks down your teeth, but it can be extremely painful as well. By utilizing a night guard, your enamel will not continue to weaken and breakdown as quickly. 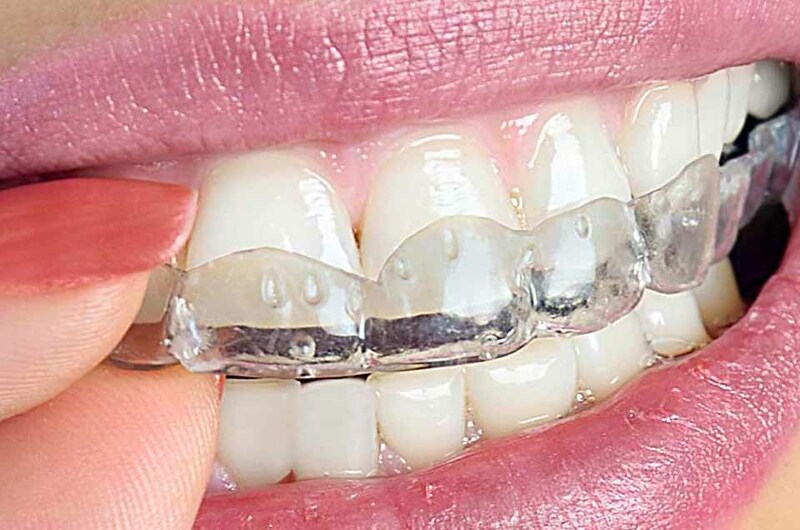 So, if you struggle with teeth clenching or grinding at night, it’s important that you consult our team at All Season Dental so that we can get you fitted for custom night guards. To learn more about the benefits of a night guard including strengthened enamel, a stronger jaw and help with bruxism management, pick up the phone and give our dedicated team at All Season Dental a call today at (330) 296-3975. This investment in a night guard will surely save you lots of money down the road when it comes to maintaining healthy teeth and a beautiful smile.